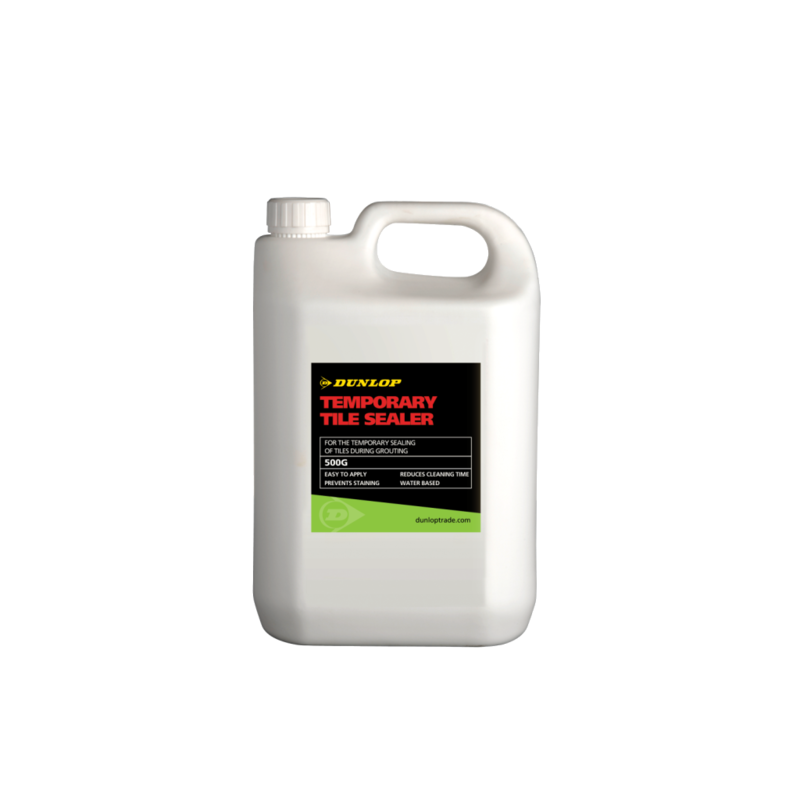 DUNLOP TEMPORARY TILE SEALER is a protective sealer for use on most tile types to protect the surface of the tile from discolouration when grouting. The sealer is removed by simply washing off after grout application. 500g undiluted covers approx. 5m2, on very porous backgrounds this may be less. I switched to Dunlop after being let down by another supplier. Very pleasantly surprised with the results! Will definitely use Dunlop products in the future!